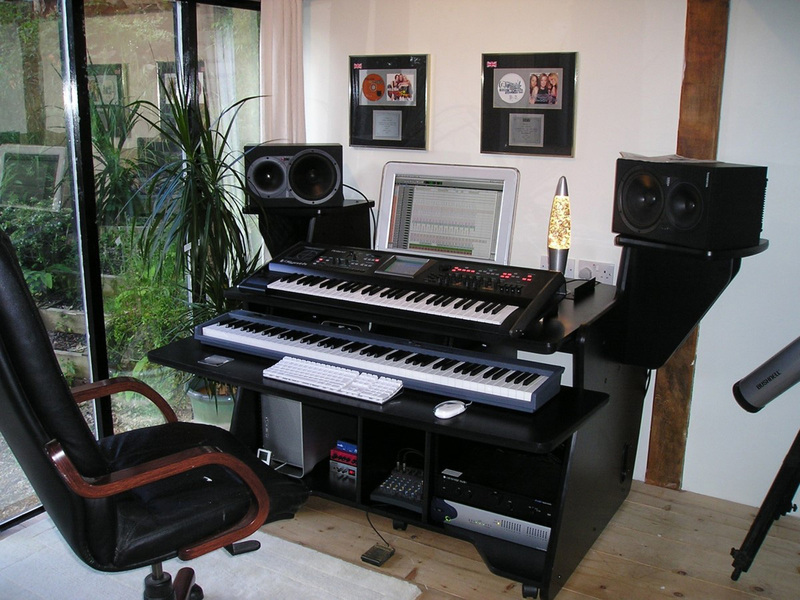 Designing your Home Recording Studio – The first thing in the room shouldn’t be the last thing you think about. Back in the day, music recording and production was limited to professional recording studios because the equipment was prohibitively expensive, complex and difficult for amateurs to operate. For musicians who wanted to produce their own recordings or have the flexibility to work on their music at any time, the only option was to book and pay for time in those professional studios – limiting recording time to reliance on studio schedules and expenses. Commercial studios have to cover the rent and utility costs for their building, pay producers, engineers, back-up singers and musicians and other personnel. These factors combine to make commercial studio time expensive – and for many fledgling artists and bands it’s enough to price them right out of the running. Now that music production has become deeply integrated with technology, it’s easier and more beneficial to create your own home recording studio. Reel-to-reel tape machines and multitrack tape recorders have long given way to digital audio workstations (DAWs), and with today’s powerful personal computers, it’s much more cost effective to operate your own DAW software. With a modern DAW, it’s now even feasible to use basements, garages and spare bedrooms for home recording studios. In addition, recording studio desks, also known as audio studio desks, provide a perfect solution for efficient set-up of your recording system as it doesn’t require the construction of any permanent fixtures and can be placed anywhere in the space that allows for the best configuration. Should you decide to change or expand your studio; the desk can easily be moved or adjusted to accommodate your new design. While the initial set-up may involve an investment, setting up and using your own home recording studio furniture and equipment can result in substantial savings over the long run. A home studio not only makes recording affordable and fun, it also eliminates the need to work around someone else’s schedule – ready to use any time of the day or night. 1. What will I use it for? Are you a music student who wants to hone his skills or experiment with techniques? Are you a professional musician or group and want to use your studio for rehearsals and recordings? Will you use it to create spoken word output such as podcasts? What is your primary application? Composing, recording, editing? Answering these questions will provide you with the blueprint for designing and equipping your home recording studio. 2. Do I need a budget? Yes, you do need a budget! Your budget is based in large part on the purpose and uses identified for your studio. Some people get carried away with the idea of fulfilling their dream and incur massive? debt in the mistaken belief that the home studio will magically lead them to success – this all-or-nothing approach isn’t necessary and can actually be counterproductive by placing a stressful burden on the studio owner. Start with a realistic goal and a modest budget that focuses on your top priorities for the studio. This allows room to expand and upgrade in the future with an improved financial picture – and your priorities may even shift over time, so give yourself that flexibility early on and you’ll be able to adjust later as needed without a massive initial investment. 3. How much space do I have? Are you setting up your home recording studio in your living room, basement, garage or a spare bedroom? Though it would be hard to dispute that one of your most important goals is to create good sound, it is also important to know how much space you have or do not have to achieve this goal. Room neutrality – In other words, when recording, are you recording your music or the room? You want what you are recording to be the best representation of what is being played. A room that’s neutral will minimize recording the room itself. Similarly, when mixing, you also want your room to accurately reflect the recorded sound. Recording studio isolation – While playing music through your mixing speakers walk around your recording studio and listen if you can hear the music when the door is closed. Chances are the neighbors can hear it across the hall if you can hear it outside the studio. Either improve the room isolation or try to work out an arrangement with those around you. Once these factors are considered, it’s time to determine what the right recording studio desk is for you. Your desk will be the first thing in the room, will support all your equipment and will be the center of your creative environment. A recording studio desk is the foundation on which the rest of the recording configuration will be built, so choosing the right audio studio desk is crucial to successfully designing your recording space. Even if future expansion is not in the picture, it’s a good idea to go with a recording studio desk that’s slightly larger than necessary. Erring on the small side can result in a less than optimum configuration due to crowding the equipment into too tight a space. In addition, if plans should change, the extra room will be welcome. As an example, look at our variety of recording studio desks to determine the space, configuration and budget needed. All are ergonomically designed – considering sound and sight lines and maximal usage of space and positioning of gear appropriate for its intended purpose. 1. Compact Home Studios: The Presto and Presto 4 models are ideal for basic use home studios or studios that are housed in a compact space. Both provide wide recording desk surfaces for controllers or mixers while shelves and bays both above and below take advantage of vertical space for additional gear. 2. Expansive Home Studios: On the other hand, the Force Seriesof recording studio desks offers six different styles, each with plenty of room for enough equipment to fit most studio’s needs. Multiple rack bays above and below the desk offer plenty of room for rack mount equipment including, microphone preamps, equalizers and other outboard gear. Monitor shelves and risers allow optimum placement for speakers and monitors. 3. Home Mixing Studios: The MixStation and Synergy Seriesof mixing workstations provide both mixer-specific and generic mixing platforms for those whose recording studio is centered on the mixing environment. Available in a variety of sizes and configurations, these models are ideal for the enthusiast and professional alike. 4. When more than one person is at the recording studio desk, teamwork is streamlined with the Gemini, a workstation designed to comfortably accommodate two people. A large center cabinet underneath the desk partitions two separate areas with generous leg room. The cabinet itself can house either a computer tower or rack-mounted equipment. The expansive top bridge holds several monitors with four rack bays underneath. Naturally, this product, like all Omnirax products, can be modified or customized to suit anyone’s particular needs. Whether your home recording studio is for personal or professional use, putting thought and care into the set-up can make all the difference. We love to hear stories about recording studios – if you have an Omnirax based home recording studio that you’re particularly proud of and that you’d like to share with us, feel free to send us your photos, tell us why you love it and we’ll showcase it here on our site. And of course, if you have questions or comments about how to setup a home recording studio, feel free to comment below or contact us any time.